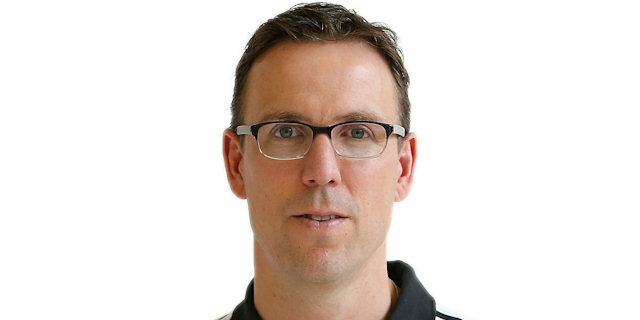 Brose Baskets Bamberg picked up its first win of the Turkish Airlines Euroleague season by defeating Lietuvos Rytas Vilnius 84-78 on Friday at Stechert Arena. Bostjan Nachbar and Anton Gavel scored 22 points apiece for the German champs, who are now tied with Rytas for fourth place in Group D at 1-3. After a back-and-fourth opening quarter, Nachbar and Teddy Gipson led a 13-0 seconds quarter run that led to a 45-35 halftime advantage. 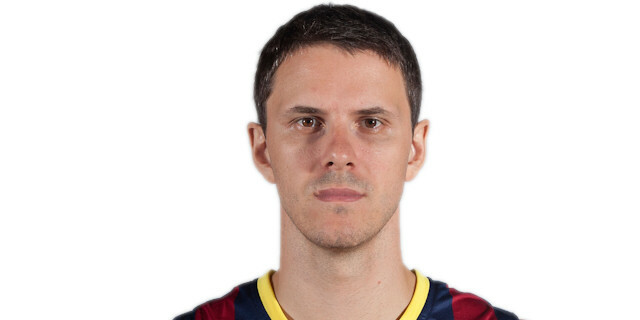 However Rytas stormed back in the third behind rookie Nemaja Nedovic to lead by 2 going into the fourth quarter. Alas Gavel came alive to ignite a 15-0 Bamberg run that put the game away. Ronnie Seibutis paced Rytas with 24 points, Nedovic added 15 and Janis Blums scored 12 in defeat. Neither team made a change to their starting lineup from last week. Seibutis opened the scoring with a driving layup and Predrag Samardziski’s free throws made it 0-4 early on. Nachbar got Brose on the board with a long jumper and Maik Zirbes finally converted with a dunk after three early misses inside to knot the game early 4-4. Anton Gavel gave the hosts their first lead with a triple to make it 7-6 but Seibutis answered with a long ball of his own to make it 7-9. Gavel temporarily evened things again before Mindaugas Katelynas’s turn-around jumper started an 0-8 run. 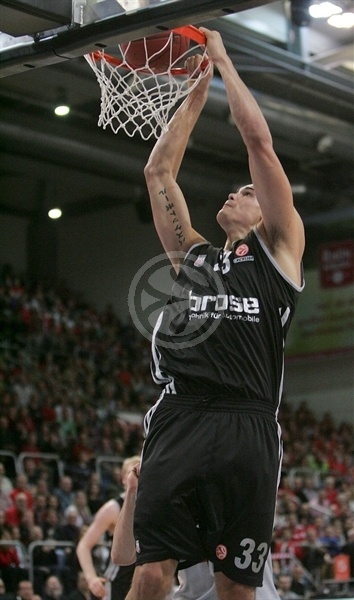 The surge also included another basket by Seibutis to give him nine points and Lietuvos Rytas a 9-17 advantage. Bamberg came back with an 11-2 run of their own with two three balls by Nachbar and a three-point play from Casey Jacobsen to give the hosts a 20-19 lead. Two foul shots from Deividas Dulkys put Rytas up 20-21 after one quarter. 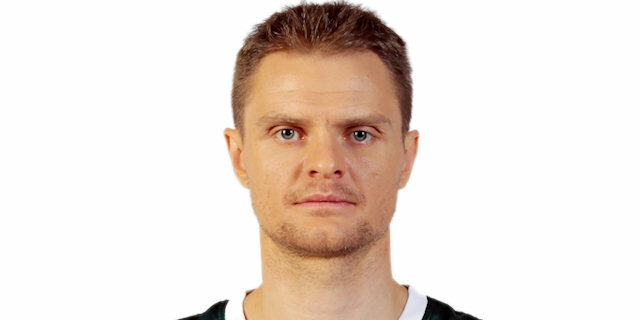 Steponas Babrauskas started the second quarter with a three-pointer from the left corner for a 20-24 Vilnius advantage. Gavel nailed a long ball of his own and Bamberg began to disturb the Lithuanian team’s offense in putting together a 13-0 run with a putback dunk by Zirbes and triples by Sergerio Gipson and Jacobsen for a 33-24 Bamberg lead. Samardziski snapped the run with a putback but Bamberg failed to convert on three straight possessions and Seibutis nailed two jumpers to bring Vilnius within 33-30. Zirbes tapped in a pass from Gipson but Janis Blums hit from downtown to cut the gap to 35-33. 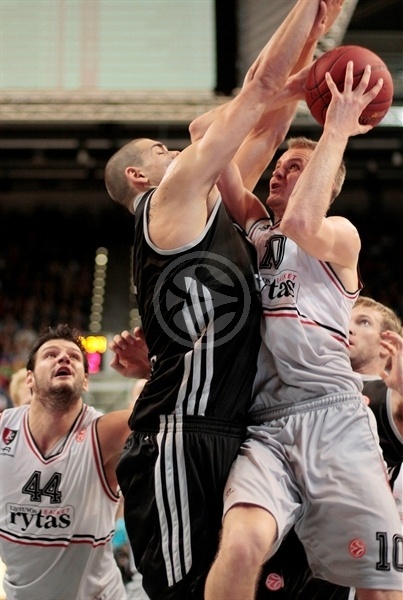 Nachbar answered with a jumper and Bamberg retained possession on a foul away from the ball. And Gipson made the guests pay for the mistake with a three-pointer. After Katelynas missed two foul shots, Nachbar converted a three-point play for Bamberg’s first 10-point lead of the game at 43-33. Seibutis converted a driving layup but Nachbar hit two foul shots to re-establish the double-digit lead at the break 45-35. Blums started the second half with a jumper and reverse layup to trim the margin to 45-39. But a Nachbar jumper and breakaway dunk off a steal had the cushion back to 10 points – 49-39. 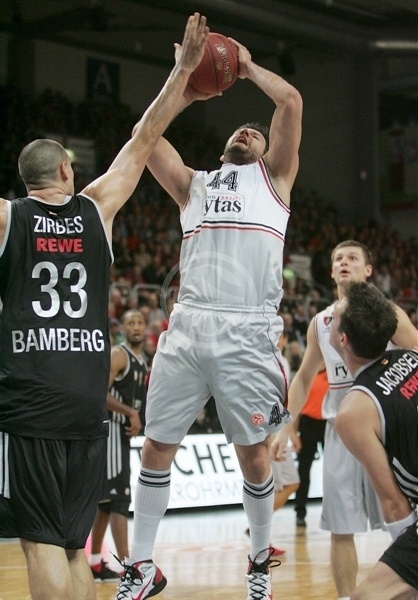 Dejan Ivanov sandwiched four free throws around a Seibutis long jumper to bring Vilnius within 52-47. But John Goldsberry nailed a three from the left corner for his first points of the night and a 55-47 lead. Rytas was not going anywhere though as Nemanja Nedovic hit layup and Katelynas nailed a three-ball to pull within 55-52. Gipson, Zirbes and Philipp Neumann all scored inside baskets in hopes of keeping Vilnius at bay but Nedovic sank a triple and hit a layup before Blums’ three-pointer gave Lietuvos Rytas the lead 62-64 after three quarters. Bamberg came out for the fourth quarter on fire with Gavel nailing two long balls and Goldsberry driving for a layup. 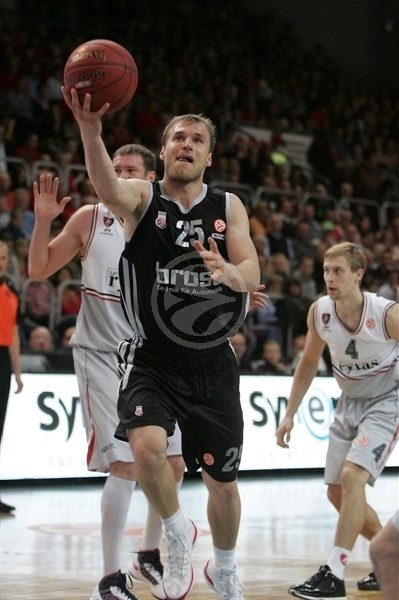 Gavel would then steal the ball and go in for the breakaway layup for a 72-64 Bamberg lead and a Vilnius timeout. The guests could still solve the Bamberg defense and Gavel’s free throws made it 74-64 and the lead was 13 points after a Nachbar triple to complete the 15-0 run for a 77-64 advantage. 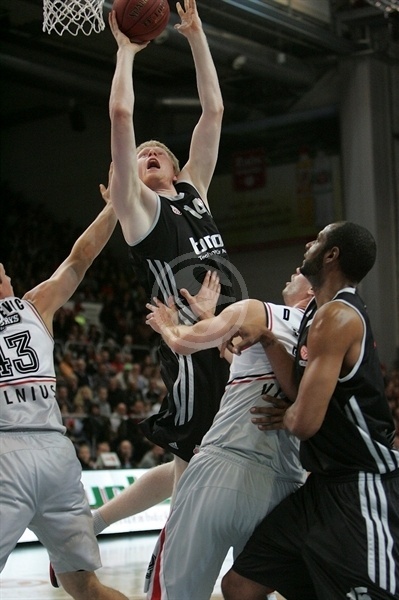 Vilmantas Dilys’ driving layup finally put Vilnius on the board with 5:55 remaining in the game. Lietuvos Rytas would not give up with Seibutis draining a three-ball from the left wing and Nedovic driving for a layup to bring it back to single digits 80-71 with just less than four minutes left. And Seibutis made two foul shots to make it 82-73. Vilnius failed to convert on two possessions but Babrauskas knocked down a three-pointer from the right side to trim the margin to 84-76 with 45 seconds to play. But Bamberg had done enough. 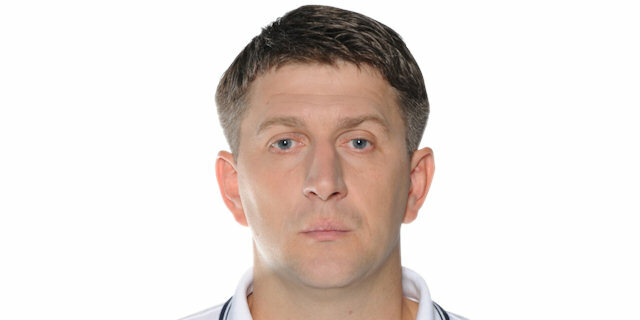 "Of course we needed a taste of success in the Euroleague. We really fought hard today. We had real problems in the third quarter. And then we stopped them in the fourth quarter and started to play defense like we can, getting nine stops in a row. And it was enough for the victory. In the fourth quarter the shots from Anton Gavel really were big for us. Things go on and now we have to confirm this performance and improve. Neumann and Zirbes really showed that they only needed time and really played well, both offensively and defensively. We got it done, but this is just one game and we have to keep moving forward. But we are on a good road. " "We knew it would be a tough game. We knew Bamberg would have the pressure. We expected that kind of game. One thing which killed us was that we could not stop their three-point shot today. Whenever we came back we could not stop them. We lost the fight on the boards and that was really important. I’m just happy that we didn’t let them run with a bigger result. That could be very important later on. In our group the situation is pretty clear. There are two teams that are standing on the top. We, Brose, Besiktas and Belgrade are four teams chasing the four spots in the Top 16. And this was an important game. " "We feel relieved. The first win is always the hardest one. In previous games I don’t think that we played well enough to deserve the win. But tonight we definitely did and I’m happy that we won in front of the home crowd against a team we will fight for for a ticket to the Top 16. It’s a big win at home and it definitely gives us a lot of confidence going into the next couple of games. The defense was not working for us in the first couple of games. And we really worked on it in practice and are starting to improve on it game after game and it finally came to a level where it was good enough to beat a Euroleague team. I just hope and I believe that we will build on that." "It's a pity that we lost today. We came here to fight for the win but unfortunately we could not get the victory. They played some very good basketball and hit a lot of tough shots. I hope we are getting better. Every practice we are trying to improve our game and hopefully in the near future we’re going to reach our goals. This loss hurts us a lot."